The Mountaineers held serve this week when they smashed TCU at home, 47-10. As a result, WVU sits at No. 7 in the AP Top 25 and Coaches Poll. West Virginia completed the sweep of Texas. 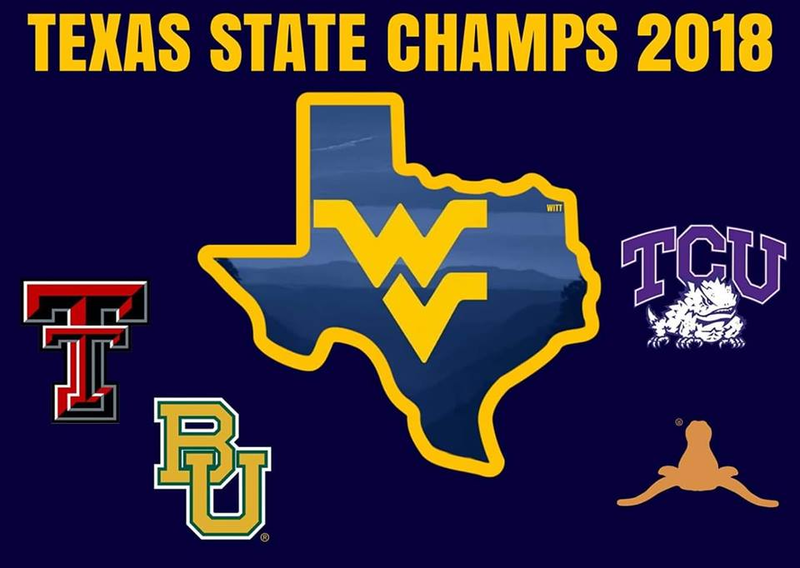 The Mountaineers defeated Texas Tech, Baylor, Texas and TCU this season, giving them the honor of Texas State Champs. The top seven in both polls stayed exactly the same. In the AP Top 25, Washington State moved up two spots, bumping Ohio State and LSU to nine and ten. West Virginia gained a spot in the Coaches Poll, trading spots with Ohio State. Washington State and LSU sit and nine and ten. Iowa State and Texas both moved up in the polls, setting up an epic showdown in Austin Saturday. Texas moved from No. 15 to No. 13 in the AP and No. 19 to No. 14 in the Coaches Poll. Iowa State moved up in both polls, sitting at No. 18 in both polls now. There are huge Big 12 title game implications for the battle between the two on Saturday. The latest version of the College Football Playoff Rankings will be released on Tuesday night at 7 p.m. EST on ESPN. Will the Mountaineers gain any ground in the latest poll? Let’s take a look. Of these teams, who is West Virginia most likely to pass? The top four are pretty much set in stone at this point. Georgia is a possibility, but with their win over a ranked Auburn team that is not a strong possibility. Oklahoma had a narrow win over Oklahoma State at home. The Oklahoma and WVU resumes are very similar, flipping the Texas and Iowa State games. It appears Oklahoma got Iowa State early on, before they got on a roll. Both teams have taken care of business against the bottom tier of the league. It’s basically a coin flip of these two as to who is ranked higher. LSU won by a touchdown over Arkansas. They have two losses. Hopefully this is the weak where the committee slides the Mountaineers past LSU. That said, LSU holds impressive wins over Auburn, Georgia and Mississippi State. They have played a heck of a schedule with their losses coming against Florida in The Swamp and against Alabama at home, by a score of 29-0. Washington State continues to roll and look impressive. I don’t see them dropping. The committee wants to avoid getting accused of a “west coast bias” so I don’t see them going anywhere unless they lose. Ohio State is behind West Virginia at No. 10, but with an impressive road win over Michigan State, they could be in line to move up. The conclusion? I don’t see West Virginia moving up this week. Maybe a spot. could be very likely they pass Oklahoma or LSU, but gets passed by Ohio State. With games left against Oklahoma State, Oklahoma and the Big 12 Championship, there is plenty of time to improve. 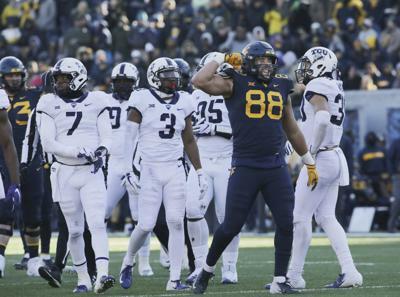 Regardless of the College Football Playoff standings, the Mountaineers are in the thick of the race for the Big 12 Championship and Coach Dana Holgorsen has his best team yet.